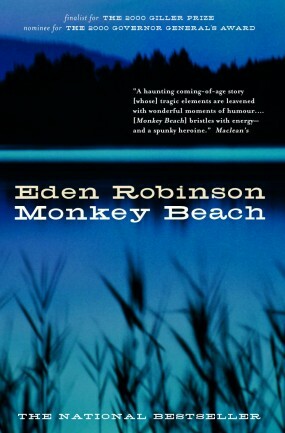 Monkey Beach (2000) by Eden Robinson. Random House of Canada. Lisa Hill’s family lives in Kitamaat Village in the Douglas Channel region of northern British Columbia. The Hills are part of the Haisla First Nation, and Robinson incorporates aspects of Haisla culture into the story, such as language and mythology. Copyright: In what ways does Robinson give the reader a sense of Haisla culture without violating what she calls “Haisla copyright” ( Sasquatch 31)? What does she reveal instead? What remains obscured, and why might she want to keep it obscured? Language: Take a look at how the Haisla language is used in the text. Which characters use Haisla words, and why? Why might the crows be able to speak Haisla? Lisa’s experience as a teenager in Kitamaat Village is filtered through her interactions with 1980s popular culture and Haisla mythology passed down through her family. One source of tension in the novel is Lisa’s “gift”—the ability to see prophetic visions and dreams. Another aspect of Haisla culture explored in the novel is the mythology surrounding the b’gwus, “the wild man of the woods” ( Monkey Beach 7), in which the Hills delight in trading tales about. Culture: How does Lisa gain knowledge of her family and the Haisla nation’s past and cultural traditions? What is the effect of the juxtaposition of pop culture with Haisla traditional life? Spirit World: How does Robinson portray Lisa’s “gift?” How do other characters treat her behaviour? Who encourages or discourages her, and why? What is the difference between the way they treat Lisa’s visions and how they feel about the b’gwus? B’gwus: In what ways does the text explore the myth of the b’gwus? 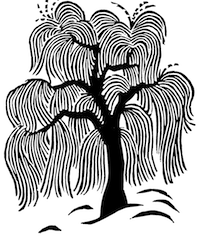 How do various characters interact with the mythology of this elusive (or illusive) creature? Why might the sasquatch be such a popular myth in the cultural imaginary? Naming: Why might Robinson have chosen to use the Haisla word “b’gwus” more than the English word “sasquatch?” Note that Robinson never directly glosses b’gwus as “sasquatch,” but uses the two terms interchangeably, as if self-explanatory. In Monkey Beach , Robinson anticipated conversations about gendered and racialized violence in BC that emerged after Robert Pickton’s arrest and trial. As the novel progresses, we learn that Lisa spent time living in Vancouver’s Downtown Eastside (DTES), a neighbourhood whose residents are often stigmatized. Monkey Beach was published in 2000, two years before the arrest of Pickton for the murder of multiple women from the DTES, many of whom were Indigenous. Much media coverage and activist work has been devoted to discussions about police and government treatment of women and Indigenous peoples in the DTES and elsewhere in BC. For example, advocacy groups such as Providing Alternatives Counselling & Education (PACE) Society and the Pivot Legal Society and women’s shelters such as the Downtown Eastside Women’s Centre have been vocal about the rights of DTES residents. As well, the annual Women’s Memorial March is held in the DTES each 14 February to honour missing and murdered women. DTES: Why might Robinson have chosen to bring Lisa to the DTES? What is the impact of knowing Lisa’s background, family, and the circumstances that led her there? How does Robinson’s portrait of Lisa in this neighbourhood differ from media portrayals of the DTES’s residents? Racialized Violence: Look for a scene(s) in the novel that depicts targeted harassment or violence against Indigenous women. Why might Robinson have included this in her novel? In particular, consider the significance of the way Robinson represents violence against women in a novel that is ostensibly about the search for a missing young man. Monkey Beach is filled with vivid descriptions of Kitamaat Village and the surrounding Kitlope Valley area. The area is known for aluminum smeltering, particularly in the neighbouring city of Kitimat (not to be confused with Kitamaat Village, the ancestral home of the Haisla nation). As well, in the 2000s, the pipeline company Enbridge identified Kitimat as the potential starting point of a natural gas pipeline to Alberta. 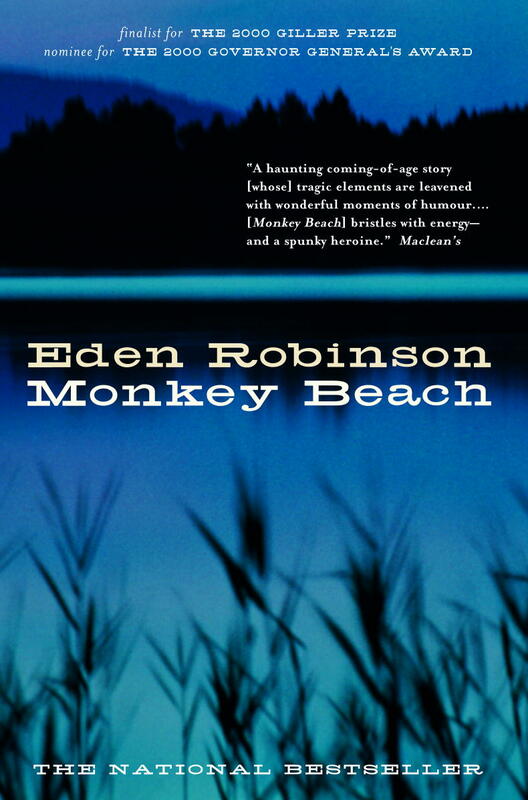 Although Monkey Beach may not be a direct commentary on controversies surrounding environmental development, it is worth examining the implications of Robinson’s use of landscape in the novel. Place: Think about the ways in which the characters interact with the various settings in the novel. What cultural values are expressed in these interactions? What is revealed about the characters in different settings? In what ways can the landscape be considered a character in the novel? Northern Development: How might the novel be commenting, even if indirectly, on the impacts of environmental disruptions and northern resource extraction? Monkey Beach has a non-linear structure, meaning the story does not move in a straight chronological line from beginning to end. The narrative frequently moves from past to present and is interspersed with recurring interludes. Although the story follows Lisa’s journey to find Jimmy, the novel’s ending and her fate is left ambiguous. Structure: How does the non-linear structure affect your reading of the story? Interludes: How do the interludes, such as anatomical descriptions of a heart and “contacting the dead,” interact with the main narrative? Do the different interludes perform different functions? Ending: What is your interpretation of the ending? How does Robinson reveal the mystery of Jimmy’s disappearance? Why might Robinson have left Lisa’s fate unclear? Robinson, Eden. Monkey Beach . Toronto: Knopf, 2000. Print. Robinson, Eden. The Sasquatch at Home: Traditional Protocols and Modern Storytelling. Edmonton: U of Alberta P, 2011. Print. Henry Kreisel Lecture Ser.